These roach motels are an excellent choice for trapping medium size infestations inside and outside your home. These bait stations last for 12 months so they are great for killing off large infestations at the source. The roaches bring the bait back to the nest and kill the entire lot. 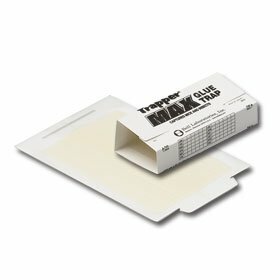 These non-toxic glue traps are a great method if you are concerned about your children and pets safety around rodent traps. Cockroaches are some of the most difficult pests to get out of a home, but it is not impossible with the right tools. Standard insecticides and pest control sprays do not work on cockroaches because they have built a pretty strong immunity to just about everything. Sometimes the only way to get rid of roaches is by trapping them and getting them as far away from your home as possible. In this article, we are reviewing the top 4 best roach traps you can find in 2018. What Is A Roach Trap? What To Look For When Buying A Roach Trap? The Black Flag traps are our number one pick for the best overall roach traps because they are consistent and highly recommended for removal of roach infestations inside and outside the home. They work by luring the roaches into the motel and trapping them in so they cannot get out. This also works for a variety of other pests. 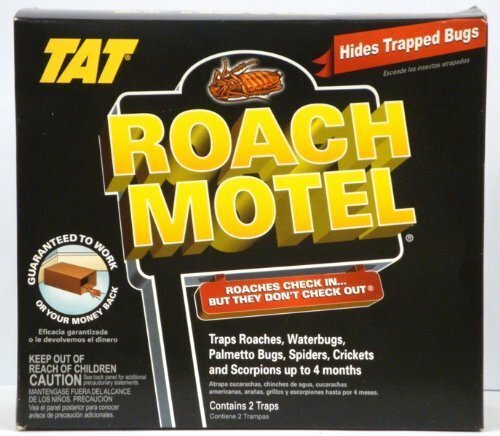 One of the great things about these roach motels is that they can fit a good amount of roaches inside the motel before it needs to get replaced. These roach traps also do not have a strong odor. There is a very faint smell of syrup, and that is what attracts the roaches to the motels. These bait stations work for a total of 12 months so they have a long protection life and you do not need to replace them very often. That is the best feature of this trap, and that’s why it’s our recommendation for best long lasting roach trap. One of the greatest things about these bait stations is that they kill off the entire infestation without you knowing exactly where it is. This works because the roaches come to the bait station to feed and they take the bait back to their nest. Once the entire nest has fed from the bait, they all die, and it begins to destroy the infestation. This is a highly effective way to control a large population for a long period. The manufacturer does warn you to keep the bait stations away from children and pets, and it can cause harm to you and anyone who consumes it. They recommend using these underneath sinks and large appliances. These nontoxic traps are eco-friendly and completely chemical free. This manufacturer claims this is the most effective all natural attractant available for killing roaches and other household pests. These traps work by using a non-toxic glue to trap the bugs to the glue itself and ensure they do not escape. The box comes with 12 traps capable of catching roaches, scorpions, spiders, ants, and any other small pest in your home. When used correctly these traps last as long as three months and do not need to replace unless they are full. The company recommends placing them in the kitchen along cabinets, below the sink, or behind the refrigerator. Since these traps are completely non-toxic, the best thing about them is that they are safe around your family. You do not have to worry about your children or pets getting into these traps and getting harmed from consuming them. There is no health risk associated with the Greener Mindset roach traps. This pack of 72 scented glue boards is the best way to tackle an extra large infestation. These glue boards can be left flat or folded into a box to make them safer around children and pets. The scented boards contain a small piece of paper inside with an attractant for mice and roaches. The glue inside the boards is non-toxic, so it is not harmful to your family or pets, it is just very sticky so it can still be dangerous if it gets stuck to them. 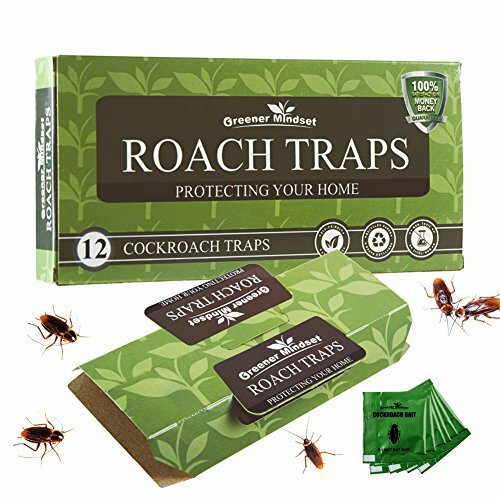 These traps are highly effective at trapping a large number of roaches simply due to the size of the boards and the amount that comes with the package. 72 traps should easily be able to rid your entire house of a large infestation even if you have no idea where they are coming from. A roach trap is a method of catching roach and preventing them from getting away so you can either dispose of them or let them go somewhere outside your home. There are a variety of different traps that serve different purposes. Glue Traps-These traps do not offer any bait-instead when they get placed in the travel path of the roaches they offer up a scent that attracts the roaches. They then step onto the glue boards, and they are stuck and cannot get away. They typically die there until you dispose of them. Cleanup is somewhat easy other than the fact that you have to dispose of the dead roaches. Bait Traps-We find that these are the best kind of traps because they do not just capture the roaches and kill them one by one. Bait traps offer up a bait usually at a bait station. The roaches then gather up this bait and take it back to the nest for the entire infestation to feed on. Slowly over time this bait kills off the entire nest as they consume more and more of the bait. This is a great strategy because the roaches do a lot of the work for you. All you have to do is set the bait station down, and they kill themselves off. 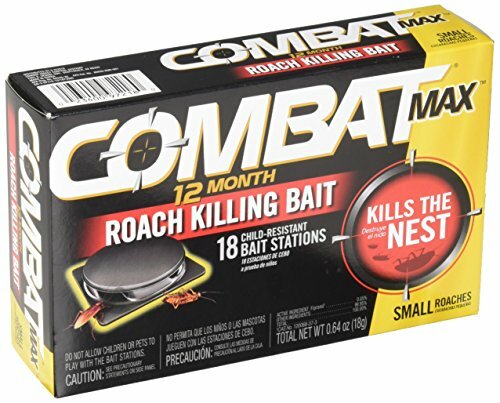 Gel Traps-These traps are similar to bait stations, but instead of offering a good bait, the trap offers a gel that when the roach comes in contact with the gel, they become infected with the poison. Every other roach they touch then becomes infected in the same way. This slowly kills off the entire infestation similar to the bait station. The only reason this is sometimes more effective than a bait station is that you can put gel all over the place and only one roach has to come in contact with it. If you have a huge infestation of large roaches, a small bait station is not going to do the job. When deciding what kind of roach trap to get, it’s important to consider your unique situation. Not every trap is perfect for every job, so you should take a look at a few important factors. If you have children or pets and you worry about their safety, you may not want to go with a gel or open bait trap. These can be a hazard to small children and pets if they come in contact with or consume the bait. If you are concerned about their safety, the best choice would be a non-toxic formula or a non-toxic glue board trap. How large is your infestation? This is a major factor to consider when deciding on what kind of traps you should get. If you have a huge infestation of large roaches, a small bait station is not going to do the job. Just like if you have a small infestation that a few small bait stations could handle, you would not want to waste a lot of money on unnecessary traps and baits. Consider the size of your infestation and get a good idea of how many traps you need to take care of the job.